Surprise! There is a new play in town! Great Britain started life at the National Theatre, announcing its arrival just six days before the first performance began. Daring! 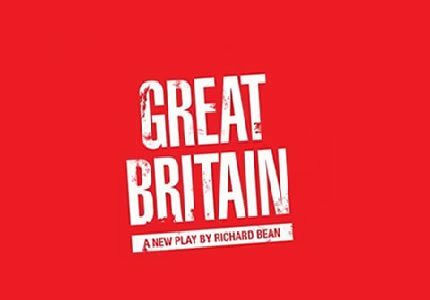 Great Britain is Richard Bean’s new and anarchic play that satirises the justice system and the free press. The timing of the play couldn’t have rendered it more topical in the wake of the Leverson Inquiry and the verdict on the News of the World Phone Hacking scandal. Great Britain tells the story of a young journalist, Paige Britain, the editor of a tabloid newspaper, ever keen to boost their readership. It seems Paige will go to great lengths to fuel her own success, even if it means blurring the lines between right and wrong. Bean’s biting satire is not just directed at the press, but at police and politicians too who together seem embroiled in corruption. Directed by veteran Nicholas Hytner, the show is one of his last as Artistic Director of the National Theatre. Casting is yet to be announced for the West End transfer of this production. Great Britain explores corruption, scandal and lies and uses adult content to do so. Therefore the show is not suitable for young children. Teenagers accompanied by an adult may enjoy the play for its clever satire.